Muriel Spark’s bracingly salty memoir is a no-holds-barred trip through an extraordinary writer’s life. 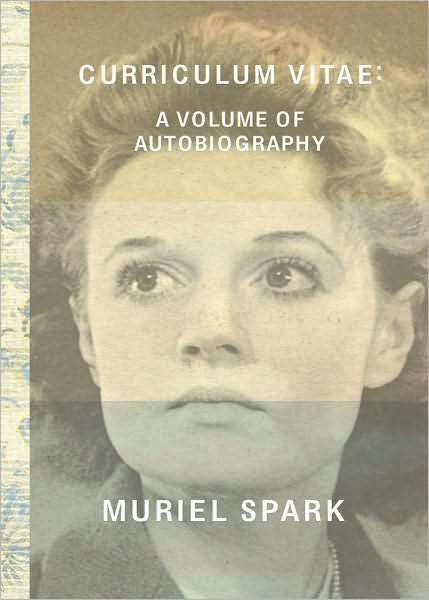 It is no surprise that one of Muriel Spark’s most lively and entertaining works would be her own memoir, Curriculum Vitae. Born to a Scottish Jewish father and an English Presbyterian mother, Spark describes her childhood in 1930s Edinburgh in brief, dazzling anecdotes. In one she recalls a cherished schoolteacher, Christina Kay, who would later be used as the prototype for Miss Jean Brodie. Spark boldly details her disastrous first marriage to Sydney Oswald Spark (S.O.S.) – himself thirty-two, she just nineteen – whom she followed to Rhodesia (now Zimbabwe) and left behind to return to England. In the midst of WWII, Spark took a bizarre position working in the disinformation campaign of the British Secret Service, eliciting information from German POWs to combat Nazi propoganda. She later moved to the Poetry Society of London, where she mingled with literati and other intellectuals, befriended by some (such as Graham Greene, an early supporter of her work) and sparring with others. We experience Spark’s joy with the publication of her first novel, The Comforters, her trials with other writers’ envy, and her emergence as the most brilliant femme fatale of 20th-century English literature.